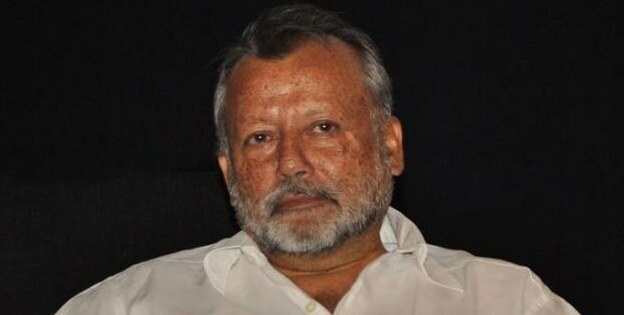 Veteran actor Pankaj Kapur has been signed to play the main negative role in Karan Malhotra’s second directorial venture Shuddhi. Widely regarded as one of the best actors in the industry, Kapur was last seen in Vishal Bharadwaj’s Matru Ki Bijlee Ka Mandola. The mega-budget film will go on floors in the first week of December in Mumbai. The cast and crew will then travel to Uttarakhand, Bhopal and Ladakh. There are reports that the budget (cost of production) will be in excess of Rs 100 crore, making it one of the costliest films ever produced. The script of the film has been written by Malhotra’s wife Ekta Pathak Malhotra. Produced by Karan Johar’s Dharma Productions, Shuddhi reunites Hrithik Roshan and Kareena Kapoor more than 11 years after Sooraj Barjatya’s Main Prem Ki Deewani Hoon. The film is expected to release in theatres in the first half of 2015. This movie gonna be huge. .hrithik will be in a different look,i.e a pure indian mard look.title song will be sung by sonu and shreya. I’m worried about its budget.heard that it will be of 125 to 150 crores. .but that doesn’t matter. .it will do 300 crores. God is Coming with the most expensive Indian Film . Forth Coming ATBB For Hrithik Again ! The Critically-Acclaimed, High On Drama & Romance. Hrithik Will Kill It ! Pankaj Kapoor Is Apt Choice ! Wowwww!!! great news…my two most fav actors and fav director coming in same film….now no one can stop this film to create magic on big screen….with huge budget this film is going to break all records….this film is based on reincarnation theme which is very popular in Bollywood… and very first time hrithik will b seen in a full desi Indian man style…he will get body like dharmendra of 70s…film will b based in two eras…one in 1910 and second is 1970…so get ready to watch some intense love story drama with mind blowing action!!!!! October 2, 2014 God is coming With Bang Bang . just 3 weeks Before SRKs Film Watch him Bang Bang will eat HNY \m/ Its Said that the movie is on the lines of DHOOM 2 Now you can imagine how this Movie will Be. Wating for OCT 2014 .
oh! again hrithik will be over-shadowed like from rishi kapoor in agneepath. bang bang sure shot blockbuster nd will beat c.e ww gross ..
shuddhi will shatter all records nd wl bcome highest grosser of india..
I’ve been waiting to see Hrithik in a pure Indian love story movie from a long time, because he hardly repeats any genre, and this time too, it will be little different, i.e., it has reincarnation theme. Although, I would have preferred either Deepika or Anushka in place of Kareena to see in this movie, but I’m happy because of Hrithik, nevertheless. Happy to know Pankaj Kapur is also a part of this film. Indeed, it’s reportedly a very costly film, his next release titled ‘Bang Bang’ is also a costly film. G.One Srk Looked Oldie In Front Of Young Charming Deepika Padukone. Now Deepika Is Capable Of Giving 50Cr Weekend On Her Own. Despite Manipulation n All Manipulation Gimmicks Srk Played, Hrithik Shattred All Those In Course Of 14Days ! 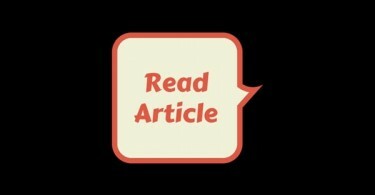 So Insecurity Is Accepted Frm Ur Side Along With Jeaolusy. And By The Way Hrithik Eated Whole Dhoom 2 Cast All One And Sanju In Agneepath ! So, He ‘ll Do The Same In Shuddhi. Steal The Limelight And Walk AWay With Accolades ! @Khan Kapoor Enjoy The ‘success’ Of Besharam And The ForthComing Diwali Disaster HNY ! And Why Only Talk About Dhoom 2 And Agneepath. He Stole The Limelight in ZNMD, attracted The Audience To The Non-Commercial Genre Movie And Took It To 90Cr Net Domestic and 150Cr+ WW ! Even In Guzaarish And Jodha Akbar He Overshadowed His Co-star Aish But Aish Was Also Phenemonal in These Two ! So SRK fans Think Before You Tweet, If You Can’t Digest Success Of Hrithik Then Keep It To Yourself, We Have Answer To All Ur Baseless Questions ! @khan kapoor, i think you are sallu fan, so don’t give lectures on good acting. @G.One, srk looks like a joker infront of his spotboy. even spotboy looks more better than him. my dhobi can do better acting than him. well fake collections is given by srk not others. @Hrithik My Hero, if producers manipulated the figures of besharam by 50,60 cr like krrish 3, it would be a success too. TOTAL :- 206 crore Nett..